Melvyn Bragg and guests David Papineau, Martin Conway and Gemma Calvert discuss recent developments in neuroscience and examine the relationship between the mind and the brain. Melvyn Bragg and guests examine the relationship between the mind and the brain as they discuss recent developments in Neuroscience. In the mid-19th century a doctor had a patient who had suffered a stroke. The patient was unable to speak save for one word. The word was ‘Tan’ which became his name. When Tan died, the doctor discovered damage to the left side of his brain and concluded that the ability to speak was housed there. This is how neuroscience used to work – by examining the dead or investigating the damaged – but now things have changed. 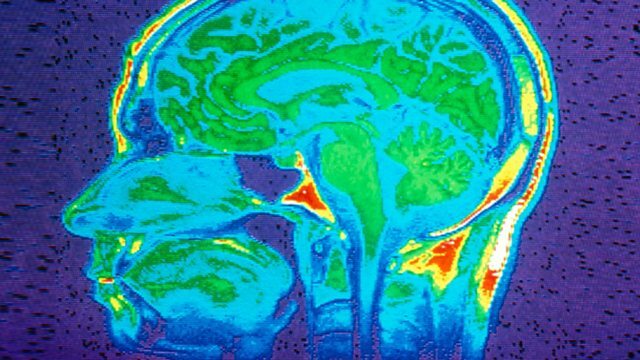 Imaging machines and other technologies enable us to see the active brain in everyday life, to observe the activation of its cells and the mass firing of its neuron batteries. Our extraordinary new knowledge of how the brain works has challenged concepts of free will and consciousness and opened up new ways of understanding the brain. Yet these new ideas seem to conform to some old ideas such as Freudian Psychoanalysis. But what picture of the brain has emerged, how has our understanding of it changed and what are the implications for understanding that most mysterious and significant of all phenomena – the human mind?With Martin Conway, Professor of Psychology at the University of Leeds; Gemma Calvert, Professor of Applied Neuroimaging at WMG, University of Warwick and David Papineau, Professor of Philosophy of Science at King’s College London. A collection of programmes relating to neuroscience and neurology.